The end of last week saw the S&P/ASX 200 Index close at 5645.6 points up 1.4%, while the All Ordinaries Index grew 1.5% to 5640.5. Last week the ASX reach a new six year high; however, gains were held back by poor Chinese factory data. 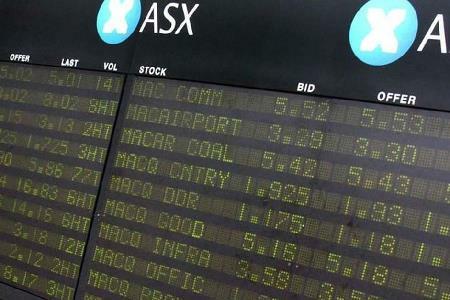 While local shares also enjoyed gains towards the end of the week, many were reversed as the ASX reacted to falls on China’s Shanghai Composite Index and Hong Kong’s Hang Seng after a survey showed that Chinese factory activity had hit a three month low. The HSBC-Markit China Manufacturing Purchasing Managers Index has fallen more than expected in August to 50.3 points, down from 51.7 in July. Nonetheless, the week ended on a positive note with good performances from ANZ, CBA and NAB underpinning the day’s gains. In general companies were reporting results in line with expectations and by lifting dividends were demonstrating optimism about the year ahead. It is expected that the coming week will see miners remain under pressure due to the weak Chinese PMI data. However, with the ASX at a six year high, and many other sectors performing well, there is a good chance that the index will see further gains over the coming week and reach new highs.